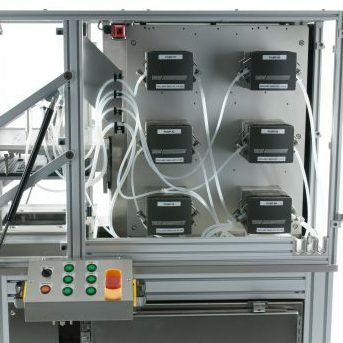 A large pharmaceutical client engaged NOVO to develop automated test equipment (ATE) for the functional testing of a modified drug delivery platform for a wearable device. 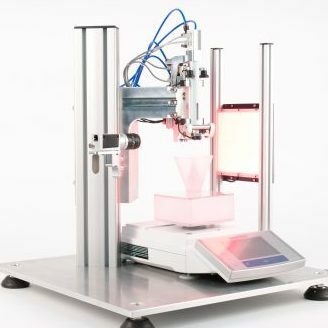 The equipment was to accommodate eight devices and independently measure injection time, dose accuracy, and efficiency. 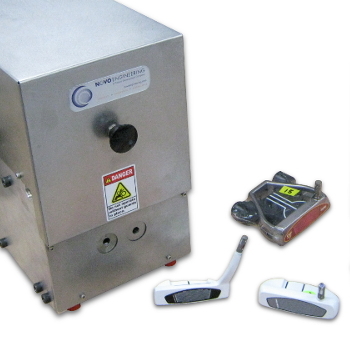 Another requirement was to verify the operation of the dose delivery indicator LED. In addition to the wearable device testing hardware, the system required a custom software application to log test results and setup information, and to provide a user interface (UI) to guide the operator through the test procedure and log both test results and setup information. 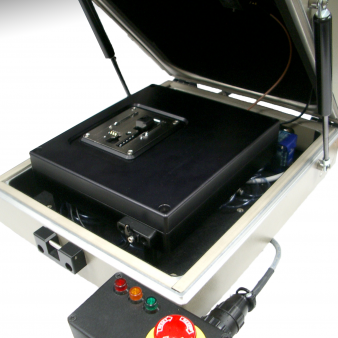 A custom, three-color detector with calibrated wavelength ranges used to establish LED on-off and color states. A custom audio output test circuit with a notch filter for the frequency of interest (and rejection of ambient noise). An off-the-shelf (OTS), high-accuracy load cell with custom signal processing algorithms applied to the output to enable the differentiation of individual droplet delivery from stream delivery. A vision system to image the device cannula and a custom image-processing algorithm to measure cannula extension. Factory acceptance testing (FAT) and site acceptance testing (SAT) were conducted for the on-body injector testing equipment before it was put into service as an R&D tool. NOVO’s ability to combine sophisticated software-implemented algorithms to process images or electrical signals with elegant electromechanical hardware solutions makes us well–suited to ATE projects for medical device products. 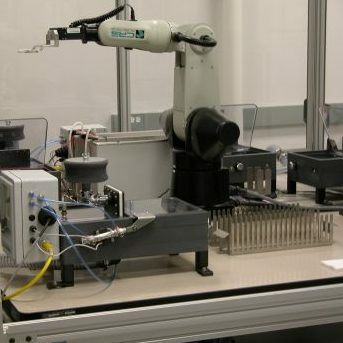 See other examples of automated test equipment that NOVO has designed for medical devices: Pen Injector ATE, Insulin pump ATE.